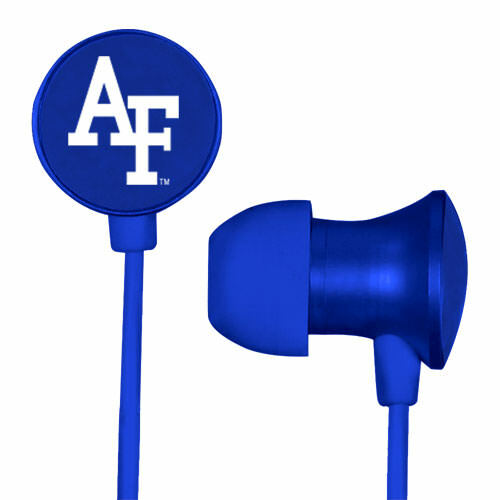 Air Force Falcons Scorch Earbuds feature a metallic housing and shiny logo that pops. In-ear earbuds give full surround sound for an immersive listening experience. 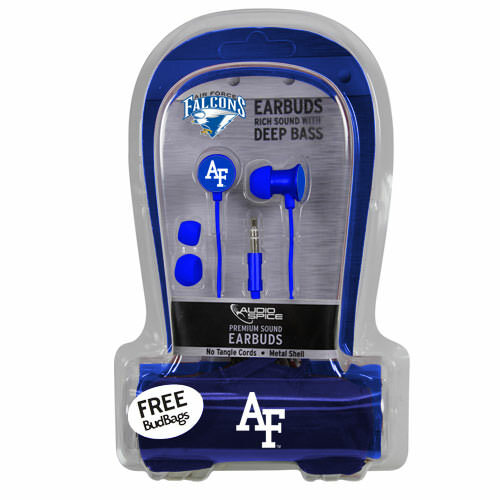 Each pair of Scorch earbuds comes with a free Air Force Falcons branded earbud bag from BudBags.